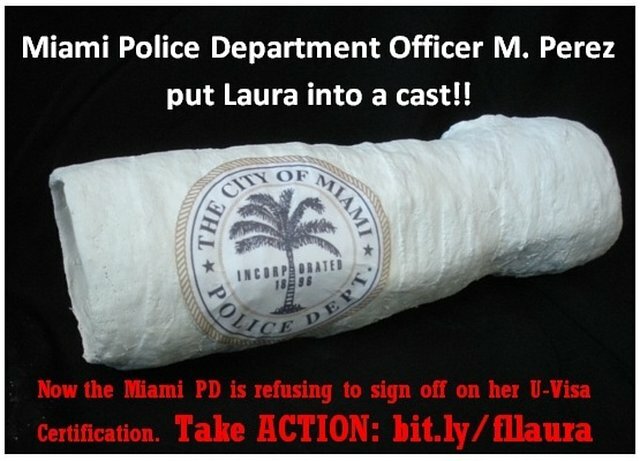 Police put Laura in a Cast; Now Deport Her! Police Officer M. Perez beat Laura into a cast. His punishment? An investigation. Laura's punishment? 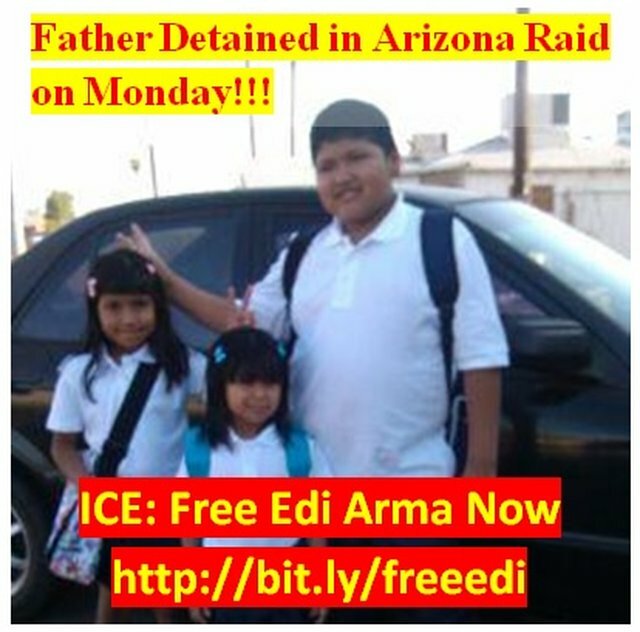 Sent to ICE and is still detained 4 months later!! "Hi, i was calling to ask that the police department certify Laura's U-visa. She was beat up by one of your officers; there is no reason why she should be detained right now. Things like this only further scare the immigrant community. Sign Laura's U-visa!"